For most men, balding is a natural part of the aging process, nevertheless, some men struggle to come to terms with the thinning and loss of their hair leading to a negative impact on their confidence and self-esteem. However, there is a solution. NeoGraft is one of the latest techniques used in a hair transplants that provides a solution to baldness. Once the procedure has been carried out, hair will begin to grow back in areas of the scalp that were previously bald and men will be left with a full head of hair. 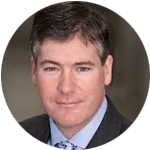 After having the treatment, most men notice an increase in their self-confidence and self-esteem and enjoy living with their thicker and fuller hair. Hair sits inside a cavity known as a follicle. A follicle is responsible for hair growth and each hair grows an inch every few months. After growing for between 2 and 6 years, the hair falls out and a new hair is grows in its place. 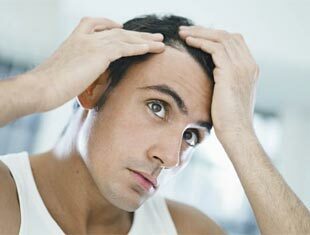 Once a man has been through puberty, the hair can start to become thinner and grow less rapidly. This is due to a natural metabolite found in the body- Dihydrotestosterone. Also known as DHT, dihydrotestosterone is a strong chemical derivative of testosterone and is produced in the prostate glands, testis, adrenal glands and hair follicles. It plays a vital role for men during puberty because it is responsible for the development of facial hair growth and thickening of body hair however, it has a negative effect after puberty as it damages hair follicles. Post puberty, DHT prevents vitamins, minerals and proteins from nourishing the hair follicles causing them to shrink. During each growth cycle, the follicles become even smaller until eventually, they can no longer produce hair. This is one of the main causes of baldness. Follicular Unit Extraction (FUE) is a technique that enables hair follicles to be harvested without an area of the scalp needing to be surgically removed. It is the latest method of hair transplant procedure and is much less invasive than the traditional method. No surgical incision is needed which means the procedure is scar free and it’s much more accurate than other methods. NeoGraft is an instrument used for Follicular Unit Extraction. It is used to remove hair follicles from areas of the scalp where hair growth is more concentrated, usually the back of the head. The follicles are extracted using pneumatic pressure. This is the safest method of follicle removal and ensures that the follicles survive. Local anaesthetic can be administered prior to treatment to relieve any pain or discomfort. Once the follicles have been extracted, they are implanted into the areas of the head that are balding. The procedure can take as little as 3 hours to complete although, this depends on the size of the implantation site and you will be able to return home immediately after. The results will become noticeable after 3 months and create a natural appearance. Book a consultation for a NeoGraft treatment! If balding is having a negative impact on your confidence and self-esteem and you are ready to undergo a hair transplant procedure, book your NeoGraft treatment today. Call our clinic on (804) 560-5260 and we will be happy to answer any questions you might have and schedule your consultation.